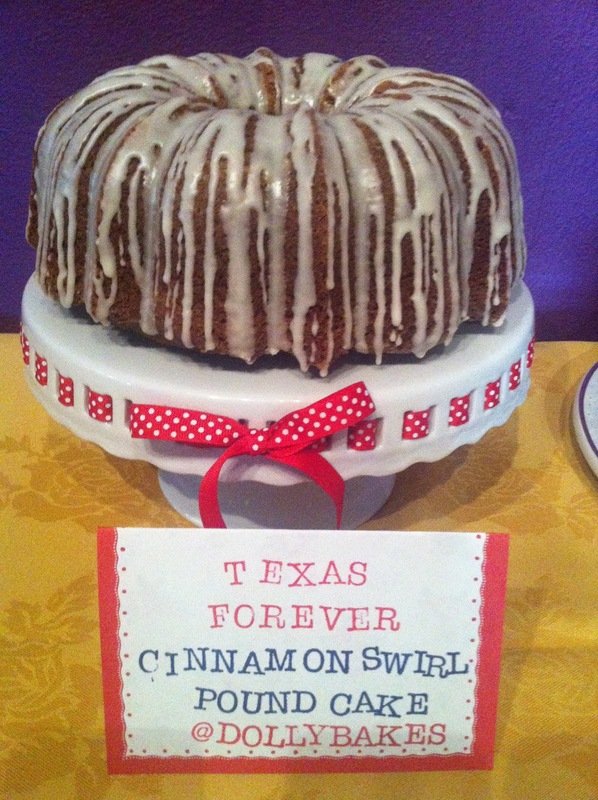 In August our Clandestine Cake Club theme was Americana, so it had to be a sweet, spicy bundt using sour cream. 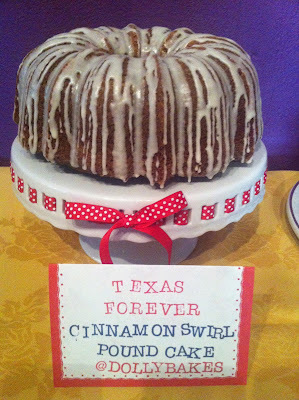 The deep South have a rich history of home baking, so I decided to call it 'Texas Forever' after one of our favourite American TV shows, Friday Night Lights. This cake is a whopper! Ideal for feeding hungry cake clubbers, parties or even (dare I say...) for Christmas gatherings! Preheat the oven to 180 C/Gas 4. Make the 'swirl' by mixing the ingredients in a small bowl or ramekin. Job done. Sift all the dry ingredients except the sugars into a large bowl. In another bowl (or stand mixer) soften the butter for a couple of minutes. Add the granulated sugar and beat until starting to get paler. Add the light brown sugar and beat for another couple of minutes until it's all looking fluffy. All the eggs, one at a time on a low speed. This helps the mix to not curdle. Fold in 1/3 of the dry ingredients. Fold in 1/2 of the sour cream. Give the whole thing a quick whizz with an electric whisk or in a freestanding mixer on a slow to medium speed for about 10-15 seconds. It just needs to be fully mixed. Spoon half of the mix into the tin. Sprinkle your swirl mixture on top, avoiding the outer edge. Spoon the rest of the mix into the tin. Using a normal table knife, swirl through the batter using an 'S' motion, taking care not to hit the edges of the tin. Pop it in the oven for an hour and 15 minutes. It should be shrinking from the sides of the tin and a skewer should come out clean. Let it cool for ten minutes in the tin before turning out. When fully cool, either dredge with icing sugar or drizzle with glacé icing. I used glacé made with apple cordial for a bit of a zing! I have made this several times - and can definitely say it's gone in no time - both at home and work!!! Cinnamon is a proper crowd pleaser! I love a cinnamon cake and this looks so fab with the drizzle. could you add raisins to this? Absolutely! About 200g should do it.